Today is the last day for the Herbs & Essential Oils Super Bundle 2017. 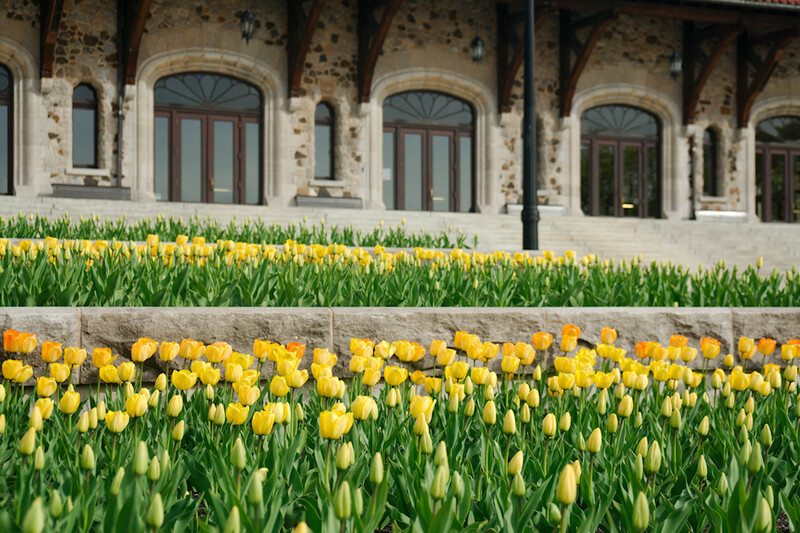 This post is another "how I use herbs and essential oils in my life" story to illustrate the usefulness of buying this library of resources for yourself. Also, I have a freebie advertised at the bottom of this post. Something I will send you in the mail (snail mail). If you are interested in brain health and essential oils you'll want to read about that. My interest in herbs, essential oils and natural remedies has followed a need-to-know learning track. I suspect it's the same for a lot of people. Why would you need to study something and find solutions for a problem you don't struggle with? My experience with anxiety has been like that. If you don't experience anxiety there's not much reason to study it and try solutions and nutritional support. Over the past five years I've been starting to clue into my anxiety. First, I've had to acknowledge it, without shame, as an undercurrent in my life. Having identified my struggle with anxiety as a root cause in many of my personal and familial struggles (my quest for security being another), I've taken efforts to address this with lifestyle modifications, tons of compassion, nutritional supports and natural remedies. All these things are great and necessary tools but I will say that self-awareness and personal honesty about this issue has been the biggest game-changer for me. Hi, my name is Renee, I have anxiety. Loving myself in spite of this propensity, learning what I need to both address the anxiety and build security - these have been huge learning opportunities for me. I'm in a much better place today than I was two years ago. Much better place. Awareness is key and so is action. And part of my action, my toolkit, includes herbs and essential oils. I have not studied natural remedies and supports for anxiety and mental health in-depth. But I'm learning from people who have. I approach my anxiety from two angles, the underlying (or chronic) anxiety and acute (or situational) anxiety. A lot of my toolkit, with includes both lifestyle and nutritional support, addresses the chronic undercurrent of anxiety in my life. Other things help with acute, or situational anxiety. In my experience, herbal treatment of anxiety is not an effective stand-alone solution, nor is it a one-time dose, especially when it comes to adaptogens. But I'm getting a little ahead of myself. This is the third significant post I've written about anxiety and I refer you to my other two posts here and here for lifestyle, spiritual, cognitive and self-care strategies. This post focuses on herbs, essential oils and nutritional support for chronic and acute anxiety. But I can't overemphasize enough that the whole thing works together - an understanding of self and spiritual identity, self-care and compassion, Cognitive Behavioural Therapy, meditation and mindfulness - I don't think taking herbs and supplements alone is sufficient, not for me. Supports for chronic generalized anxiety. By chronic I mean that I am dealing with an underlying issue that isn't specifically about traffic or teenagers or a low bank account balance. By chronic I mean that anxiety is a pulse in my life, beneath the circumstances. It's a default way of thinking and responding to challenging life circumstances. And some of my responses, specifically those triggered by a sensitive amygdala feel beyond my control, in the moment. Ashwagandha 1/4 tsp/day ~ 4 gms powdered, I add to a small amount of water and drink it. I take all of these through winter but as the days lengthen and my energy levels increase I tend to forgot to take these supplements. Just being honest. The one thing I do rather consistently from this list is drinking adaptogen and herbal supportive teas. I love tea. I love tea rituals and everyday I drink tea at some point in the day, usually the afternoon. Instead of black or decaf teas I drink mostly herbal teas, blends I create myself to support my health and wellbeing. These blends included adaptogens. Last year I finally started to investigate adaptogens in earnest. It was The Beginner's Guide to Adaptogens by Heather Dessinger, in the Herbs & Essential Oils Super Bundle 2016 that helped me with this research. For your sake, I'm disappointed this book did not reappear in this year's bundle, though I understand all new content is a good thing, especially for those who already own last year's bundle. Adaptogens are tonic herbs, which assist your adrenal system, helping your body adapt (therefore "adaptogens") to emotional, physical, and mental stress. 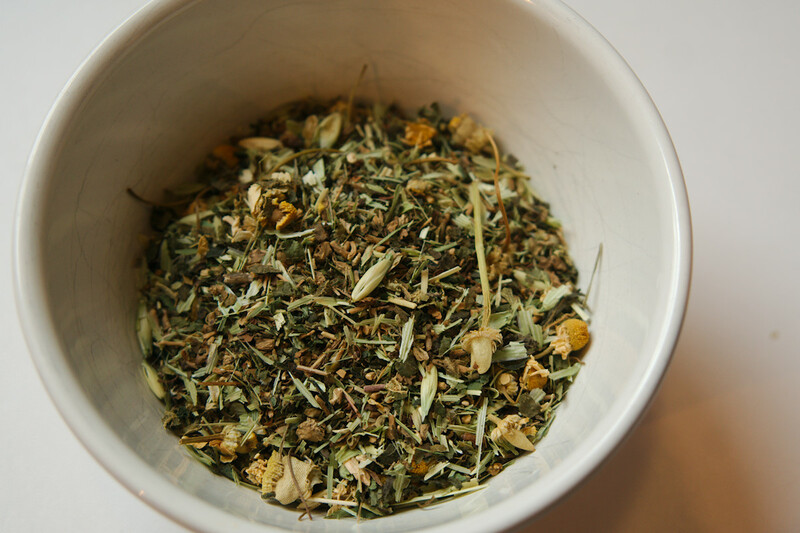 To oversimplify, adaptogens are herbs that help me stay balanced. Ashwagandha (on the above list) is an adaptogen, so is astragalus (which you'll find mentioned in the cold and flu protocol with a recipe link for immune supported chai). I am fairly new to using adaptogens. As I understand it, the adaptogens I've been using help my body adapt to stress, in general. And supporting my body in stress helps my anxiety. It's not a pill, or a quick fix. It's a supportive practice, as well as a comforting ritual. 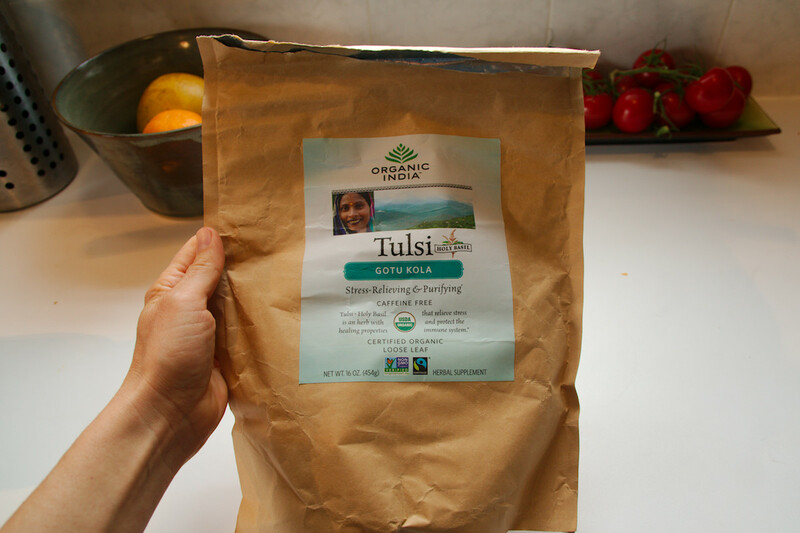 I make different tea blends depending on the season but I have a tulsi and gotu kola blend that I use as my base. I learned about gotu kola in last year's bundle resources, when I watched a video teaching on 5 must-have herbs. Something new I want to try is Magnesium Oil, which is not oil at all, but a spray made with water and magnesium chloride flakes. Magnesium deficiency is associated with anxiety and this seems like an easy thing to try. I haven't done it yet. I've got my bag of magnesium flakes sitting on the kitchen counter, waiting to be mixed up. Magnesium oil recipes are easy to find online or in herbal texts. The DIY Herbal Apothecary course in the Herbs & Essential Oils Super Bundle has a recipe for it (in module 5). Interestingly, and not surprisingly, magnesium oil and lotion is good also for sore muscles and joints, another area of focus for me in the herbal learning, as I talked about in this post. This is where essential oils are especially helpful. And again, to be truthful, this is an area that only in the last year or so, have I been exploring and trying understand. To this end I've been taking an online course by Danielle Daniel called Essential Oils and The Brain. This was not part of any bundle, my mom gifted me this course last mother's day. This course is a three-part video teaching on how essential oils impact brain health and how they support in the management of stress, anxiety disorders; including PTSD, panic, and OCD; practical essential oil application models for managing behaviors in Autism, ADD/ADHD, ODD, etc. I've been re-learning brain anatomy (I did study this in my university biology courses) and how essential oils can interact with our limbic system to help us respond to stress. Here's what I've learned about my acute anxiety responses: those fight or flight reactions come from a subconscious place. I've been working to drill down truth to those "subconscious zones" so that I react from a different truth, a truth of security and identity vs. fear. I've been learning how I can use essential oils to help me in these situations. 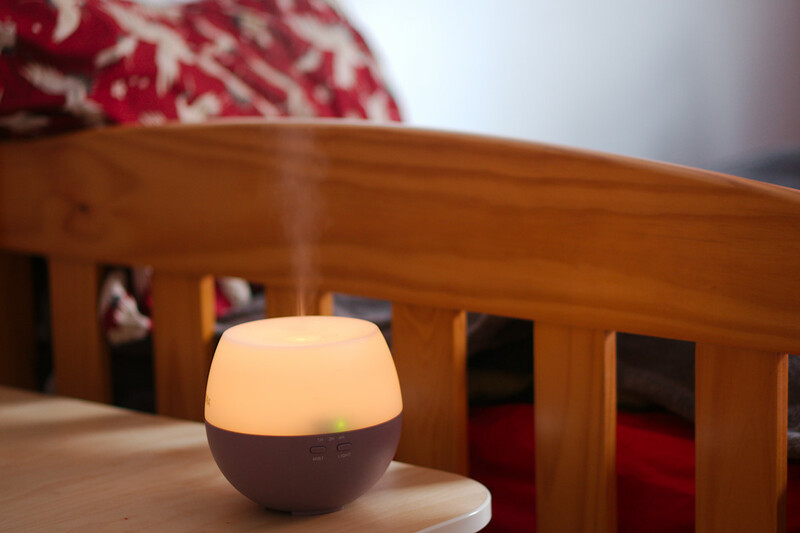 The aromatic diffusion of essential oils, breathing in through your nose, interacts with the neural olfactory pathways and can influence your emotional responses via the limbic system. It's like tapping into the non-thinking (primal) source of the response and helping re-direct it. I'm still learning how to do this, how to practice this. I'm no expert, this is part of my learning curve. Bergamot essential oil is beneficial for anxiety, specifically short-term or situational anxiety where immediate effects are needed. Researchers have evaluated its uses on a wide range of anxiety- producing environments ranging from elementary classrooms to pre-surgical anxiety. 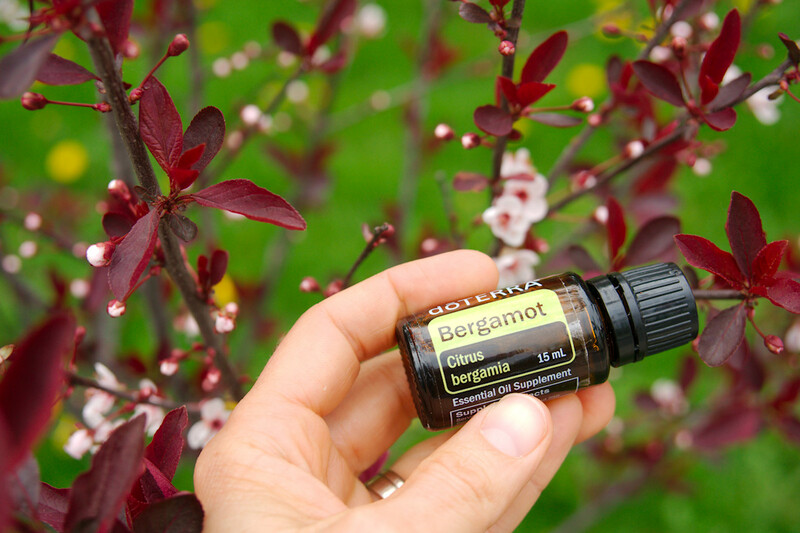 If you had to start with just one essential oil to use for anxiety, I recommend bergamot. I'll be straight up with you (in case you didn't catch it already) I'm publishing this post in conjunction with the Herbs & Essential Oils Super Bundle 2017 because I believe in the value of this bundle. This is my third post about this bundle and you may have noticed that I reference last year's bundle a lot. That's because it was so useful to me. I'm still using and regularly referencing those ebooks and ecourses. I have every expectation that this year's bundle will be an equal treasure trove of knowledge and that I'll be using these tools all year to help me understand essential oils, to help me prepare remedies for my family and friends, to help me up-my-game in the areas in which I'm weak. I'm really keen on studying brain health and essential oils and in my studying I came across a resource I wanted for myself, and for you. I'm not an essential oil teacher. I don't sell essential oils. So I don't have anything to gain from this, except the satisfaction of passing along useful knowledge. 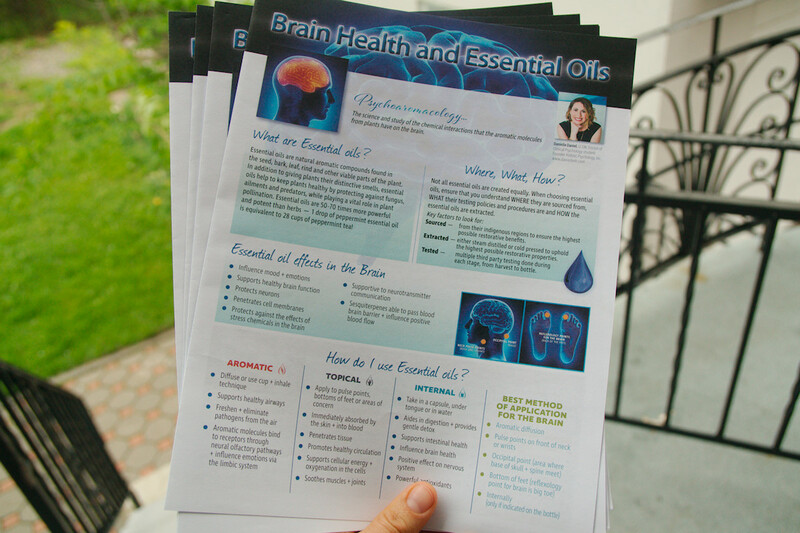 Danielle Daniel, the licensed clinical social worker and clinical psychology PhD student who teaches the Essential Oils and The Brain course that I am taking (the one my mom gifted me), has published a four page handout called Brain Health and Essential Oils. I have ten copies to give away. I'm attaching this freebie to a purchase of this year's bundle (unlike the cold and flu protocol which is no strings attached). To claim your copy of this handout, send me an email (renee at tougas dot net) with your receipt from the purchase of the Herbs & Essential Oils Super Bundle and I'll mail it to you. I only have 10 copies to giveaway (and I'm paying to mail them) so it will be first come, first serve. I'm done now. This is the the last post on this bundle. If you've been considering buying it, today is your last chance.